For anyone with an iPad, this is an easy choice. 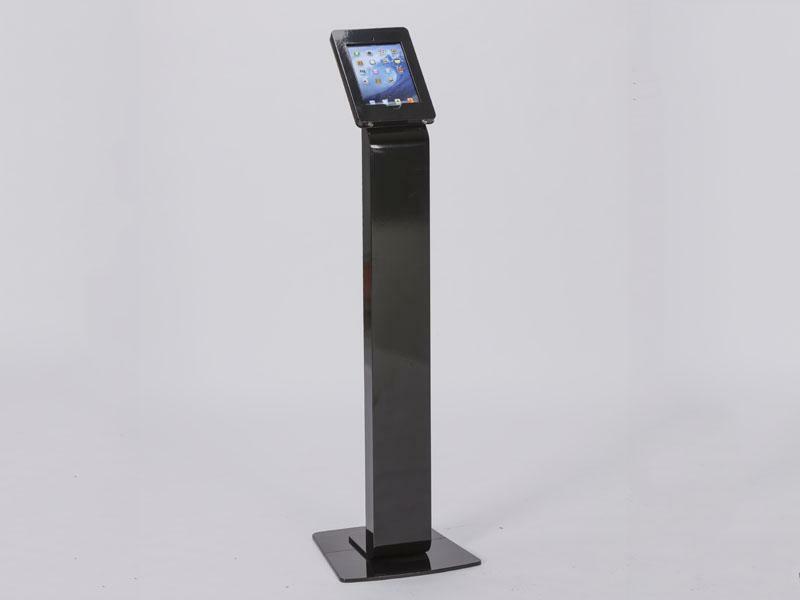 The MOD-1312 and 1314 iPad Kiosks are attractive, popular, and versatile. 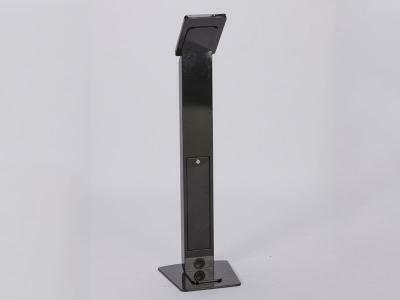 They come with convenient wire management and an internal four plug surge protector. 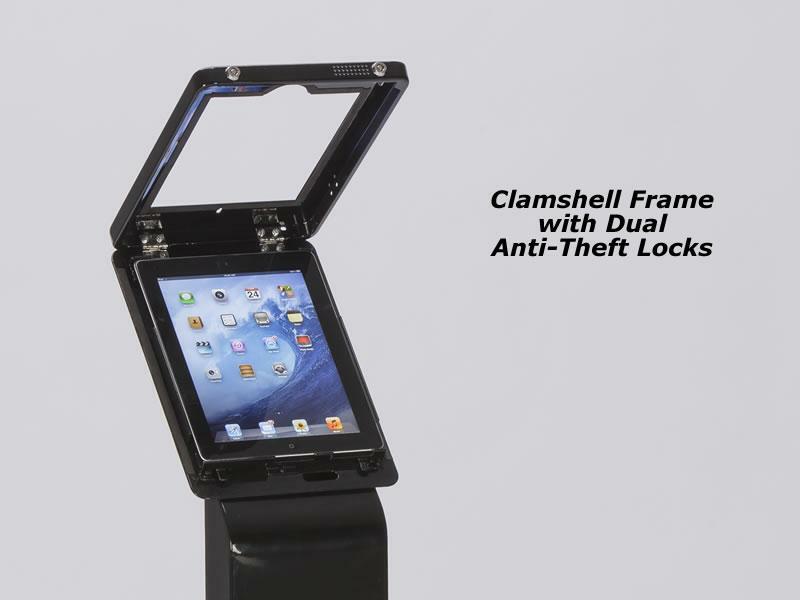 The aluminum clamshell frame has two security locks to protect your iPad tablet. Choose from silver or black, both in a durable powder-coat finish. 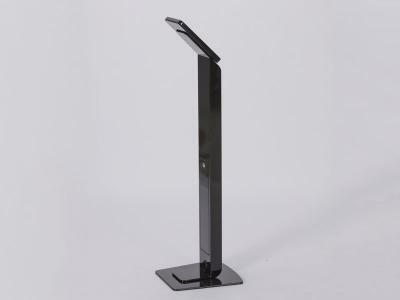 Accessories include a keyboard shelf, literature trays, and multiple graphic options such as a graphic halo or wings. 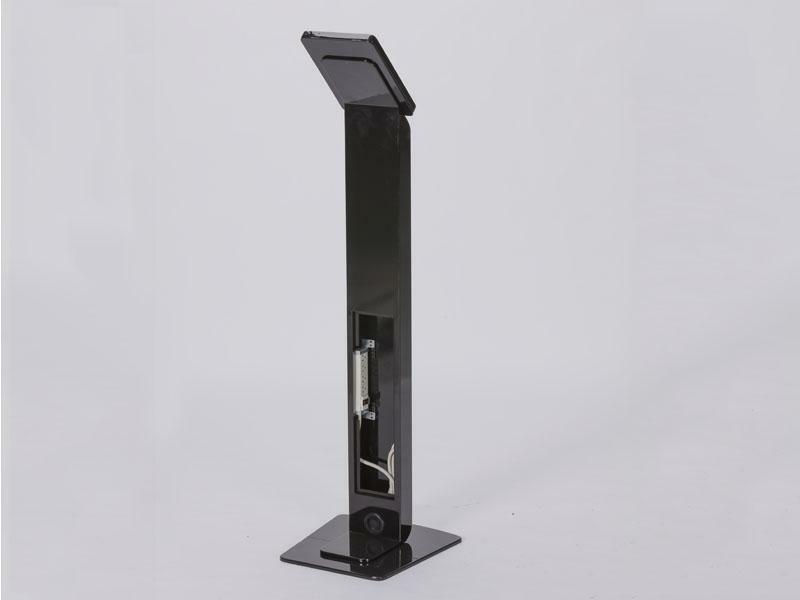 Assembly takes only few minutes. Order today. The kiosks ship within 48 hours. Need a permanent shipping case? 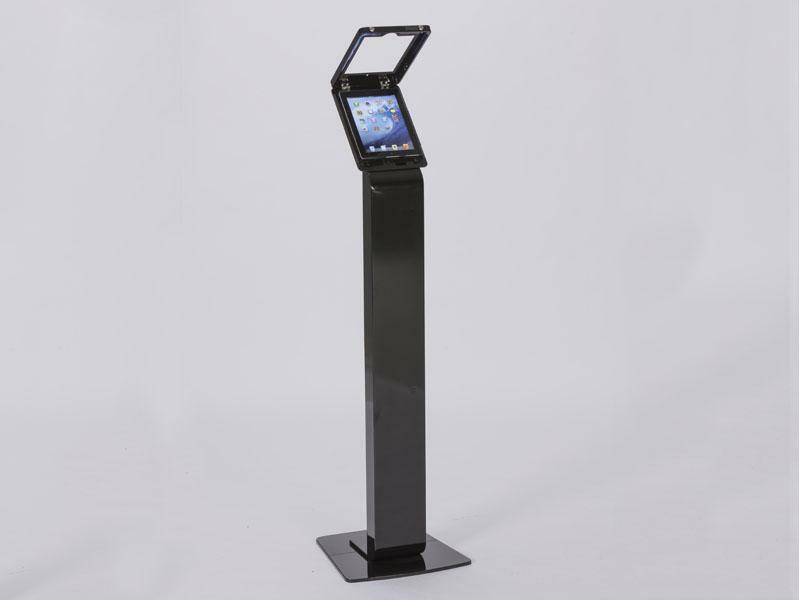 There's a roto-molded case with wheels available, designed to protect your iPad kiosk investment for years.